This time of year is a great time to look back at the year that has just ended and think about what you want to create in the next year. To focus on who you are becoming and how you want to serve. As the year comes to a close, one thing I like to do is to take stock of where I am now and where I want to be in the next 12 months. I know that the clearer I am on where I am now and where and who I want to be next year, the more likely it is to happen. 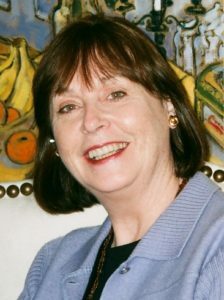 Typically, at the start of each new year, many of us feel the urge to set new goals. The slate feels as if it has been wiped clean with the sweep of the clock into a new year, and we are inspired to imagine we can accomplish great things. This year, why not try a new way of ‘going goalless’. Focus on who you are becoming rather than any tangible, specific goals. Make a plan to develop qualities of your SELF that will shift you into a new space and direction in your life and your business. Stop chasing your purpose in life. Instead, become fully engaged in your present and let your purpose find you. It will come, I promise, most likely as something that just feels right to do next. This is the perfect time of year to clarify your values and what you want your life and business to be about. You are a different person than you were a year ago. Bring yourself up to date with where you are now. Nothing is more interesting than your own life. Take the time to re-evaluate where you are and where you’re going. Here’s a WRITING EXERCISE that can change the direction of your life and business this coming year. Who am I now? 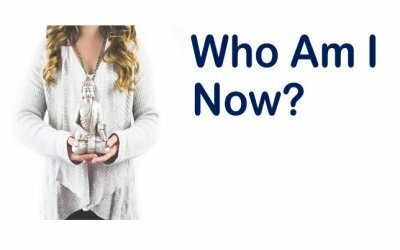 Instead of asking yourself the general question, ‘Who am I’, narrow it down to ‘Who am I now’. Bring yourself up to date, into the present moment. How will I live my life this coming year? Aristotle asked, “How shall I live my life”. This is too broad a question for our minds to handle at times, too general and abstract. Focus only on the next year. Don’t worry for this exercise about the past or the future beyond that; this is irrelevant right now. What am I doing right now, and why am I doing what I’m doing right now? Ask yourself this question instead of the general question ‘What is my purpose in life?’ Your answers will give you clues as to your purpose and the direction you could take this coming year to fulfill that purpose. Look at your life in the present (again, without regard to past or future) and take an inventory. What am I doing currently that I do not want to be doing? Evaluate all of the things you need to let go of: for example, actions that don’t support your success, too many commitments, procrastinating, habits that sabotage reaching your goals, thoughts that hold you back, thinking small. Who do I want to be by the end of the coming year? This is an important question to ponder. Who do you want to be, rather than the typical, ‘what do I want to do.’ This is the time to think bigger about what’s possible for you and how you can make a bigger difference in people’s lives. What do I often dream about doing that I’ve never, ever done? What do you desire that is not in your life or work right now? Go back to childhood and adolescence for clues to this one. The answers may seem impossible to you. Act as if there were no limits. These questions may help you clarify your values. 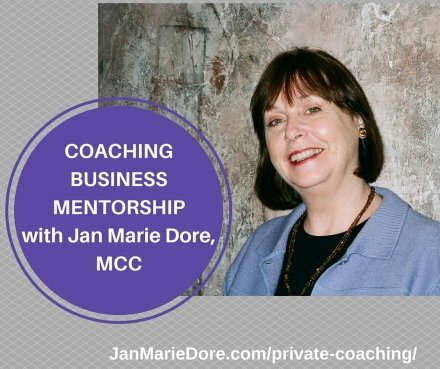 How will I structure my life and business this year to enhance the direction I want to go? Consider support or resources you will need to be all that you can be. What kind of structure do you need to stay focused on your vision and start thinking bigger? Once you have your answers to these questions, make a list of the actions you would need to take to make these shifts. Practice listening deeply to yourself, listening to the still small voice of your intuition. What gentle urgings is it communicating to you? Set an intention for what you want to happen, and be on the lookout for coincidences and synchronicities that will help you manifest your intention for who you want to be and what difference you know you can make in the world. Start each day with a commitment to achieving the positive shifts you want in your life and your work, and watch for magic to happen to help you step into your greatness! 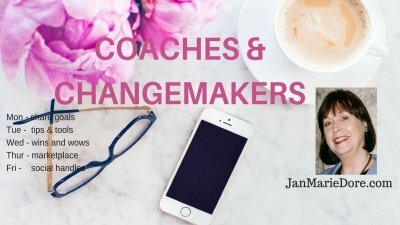 Tell me your thoughts and questions in my Free Facebook Community for Coaches and Changemakers. This 6 Module Online Course and Mentorship starts soon and the early pricing and 2 payment plan lasts only until next week.